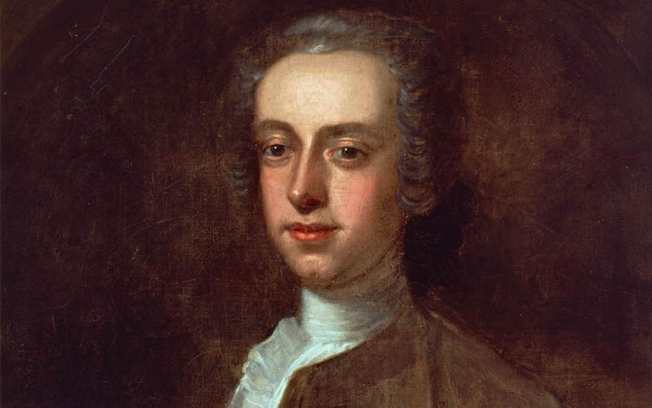 Born September 9, 1711, Thomas Hutchinson was a successful merchant, prominent politician and one of the most important loyalists in the Massachusetts Bay Colony before the American Revolution. He attended Harvard College and earned his degree at age 16. His political career began when he was elected as a selectman in 1737. He served in various posts in the Colonial government, including speaker of the Massachusetts House of Representatives nine years later. Hutchinson would play a major role in numerous events leading up to the American Revolution. The following are 10 additional facts related to the life of this influential figure. He was the great-great-grandson of Anne Hutchinson. Ms. Hutchinson espoused a religious belief that was at odds with the early Puritan hierarchy in Massachusetts. The theological schism she created became known as the Antinomian Controversy. Hutchinson was tried, convicted and banished from the colony. She would later be excommunicated from the Puritan church. Although he was not trained as a lawyer, Hutchison had an exceptional ability to evaluate competing legal arguments and get to the heart of an issue. He became a judge of the Suffolk County Probate Court. Hutchinson also had a seat on the Inferior Court of Common Pleas. In 1760, he received a royal appointment as the chief justice of the Superior Court of Judicature. This was the highest judicial position in the Massachusetts Bay Colony. Over the course of several decades, Hutchinson compiled three volumes of research. Volumes one and two of books regarding the history of the Massachusetts Bay Colony and Province were published in 1764 and 1767 respectively. A third volume was published after his death, which included his tenure as governor and lieutenant governor. He also published a complete history of the Hutchinson family that included details of Colonial political affairs not documented by his contemporaries. Hutchinson played a major role during the Albany Congress in 1754. In addition to negotiating a treaty with local Native American tribes, the delegates debated ways in which the colonies could collaborate to solve common problems. Hutchinson was one of the most ardent supporters of Benjamin Franklin’s plan for Colonial union. The conference provided the model that colonists would use when organizing future assemblies, such as the Stamp Act Congress of 1765 and the First Continental Congress nine years later. His position as lieutenant governor made him a focal point of anger against the British monarchy in Boston. Although he opposed the Stamp Act, one of the worst mobs in the city’s history while protesting the legislation broke in and ransacked his home in 1765. Many of the home’s furnishings were stolen or destroyed. The damage is estimated to be nearly $400,000 in modern-day valuation. Hutchison was the acting governor when the protests regarding the Townshend Acts resulted in the Boston Massacre on March 5, 1770. After promising that justice would be served, he had the soldiers involved arrested and tried. To quell ongoing unrest after the event, Hutchinson withdrew soldiers from Boston to Castle William located on an island in the harbor. The events surrounding the Boston Massacre made Hutchinson doubt his ability to serve as governor. He wrote a letter of resignation. As this letter was traveling to England by sea, his royal appointment as governor of the colony was en route to Boston aboard another ship. They may have literally been ships passing in the night. When his resignation arrived in London, Colonial Secretary Lord Hillsborough rejected it. In 1773, Benjamin Franklin obtained a series of correspondence between Hutchinson and Andrew Oliver, his lieutenant governor. Written years earlier, the letters contained the men’s ideas on possible ways to reorganize the Colonial government based on the rising tension. Franklin sent the letters to Samuel Adams who used them to wage a propaganda campaign against the governor. Franklin and Adams had become political opponents of Hutchinson. Many of the ideas contained within the letters were taken out of context. The event became known as the Hutchinson Letters Affair, and it destroyed the governor’s political effectiveness. As a result, Hutchinson was unable to stop further unrest in Massachusetts. Colonists opposed the Tea Act of 1773, which benefited the East India Company at the expense of local merchants. It also raised the duty on the popular beverage. In protest, patriots in cities other than Boston had ships carrying tea return to England. As royal governor, Hutchinson ordered that the three ships in Boston Harbor be unloaded and the duty paid. Two of his sons were tea brokers. Approximately 7,000 people gathered in the Old South Meeting House on December 16, 1773 to protest his actions. When Hutchinson once again ruled that the cargo be unloaded and the tax paid, the crowd spilled out of the meeting and headed for the waterfront. Numerous patriots masquerading as Mohawk Indians boarded the ships and threw the tea into the Boston Harbor. While a conciliator after the Boston Massacre, Hutchinson’s intransigence regarding the tea ships led to one of the defining acts that inspired the American Revolution. After the Boston Tea Party, Hutchinson sailed to England in 1774 to help defuse the growing tension between the Colonies and the British government. General Thomas Gage, commander of the British forces in North America, replaced him as governor. The war broke out before he was able to return. Hutchinson went into exile in England where he advised the British government about American affairs until his sudden death from a stroke in 1780. Ironically, Oxford awarded him an honorary doctorate for his work as Colonial governor on July 4, 1776. His former home in Milton, Massachusetts, which is now a nature preserve, is listed on the National Register of Historic Places.